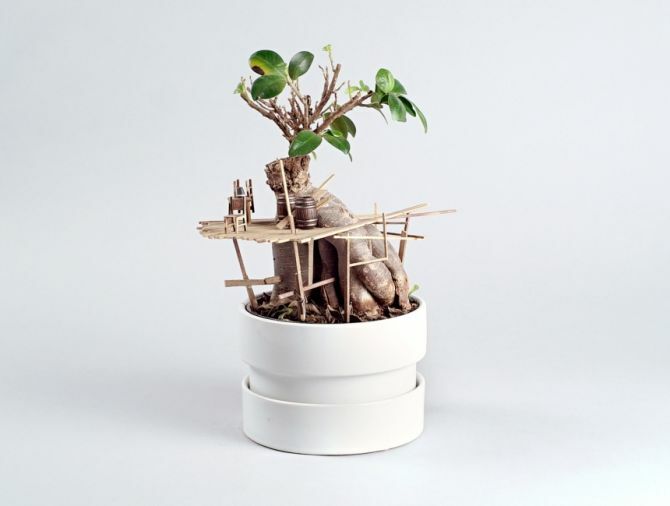 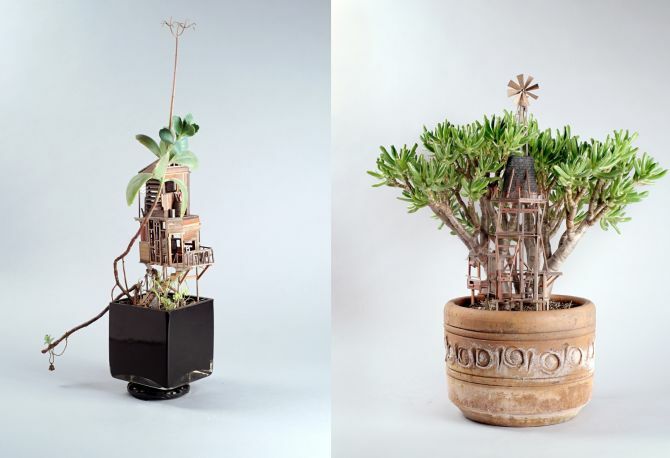 Wrapped around common houseplants or bonsai trees, Voltz has created these tiny treehouses for his new sculptural series called Somewhere Small. 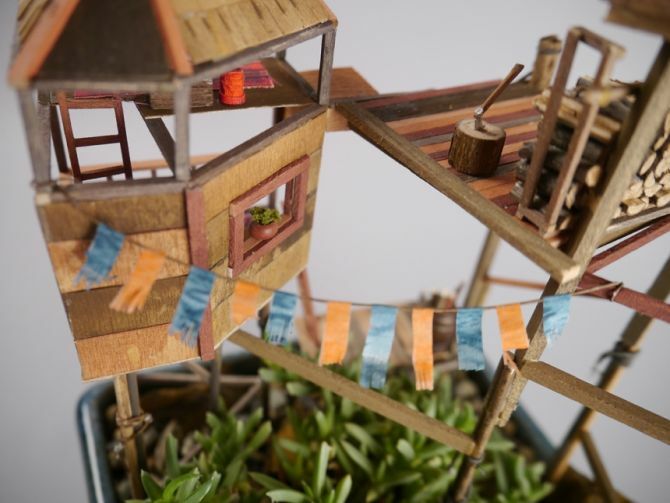 He usually builds miniatures for stop motion films and years of commercial prop making has left him with numerous scrap materials including basswood, silk, fabric, miniature artworks and few stones. 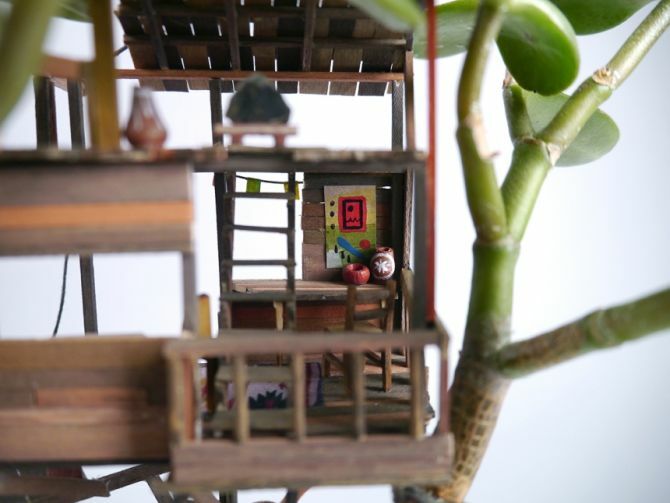 Using all these scrap materials, he has created each treehouse sculpture from scratch. 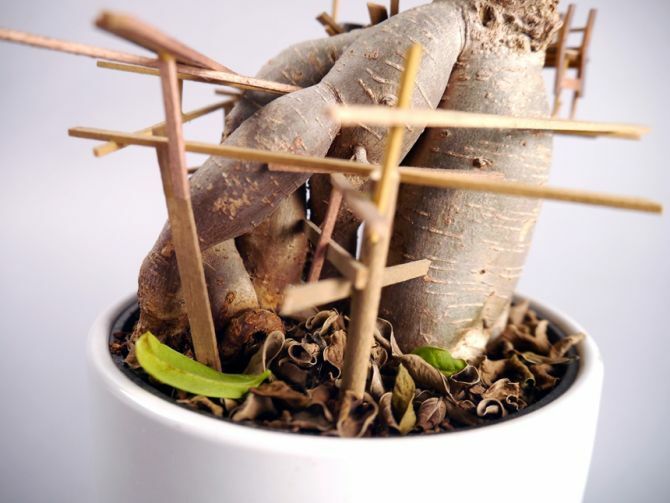 The resulting art pieces look absolutely beautiful and are likely to be centerpiece of any indoor space. 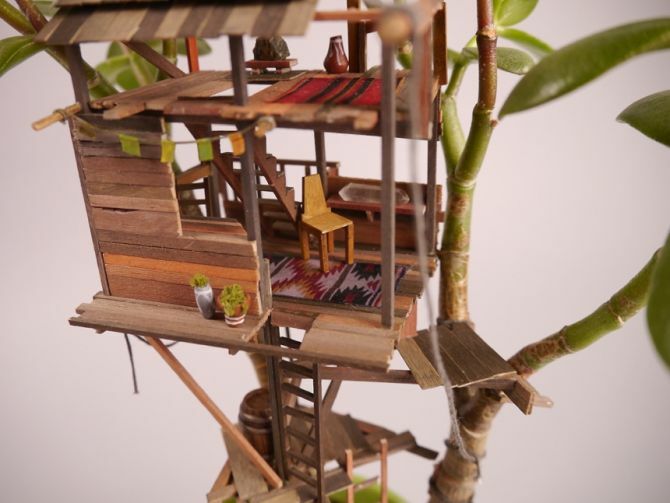 Meanwhile, these tiny structures will partially fulfill you dream of owning a treehouse. 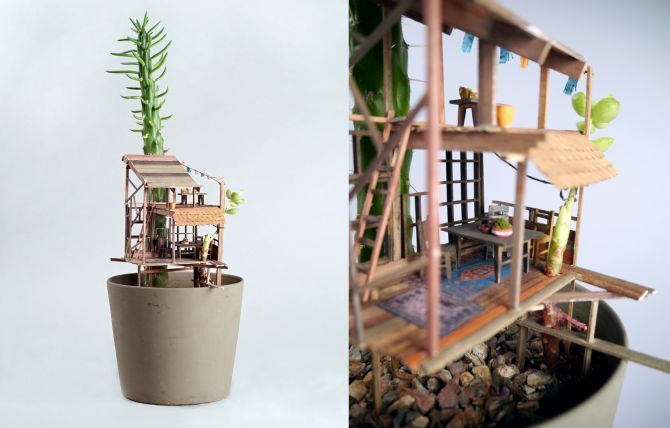 It’s amazing to see how simple unused objects can be transformed into a marvelous artwork. 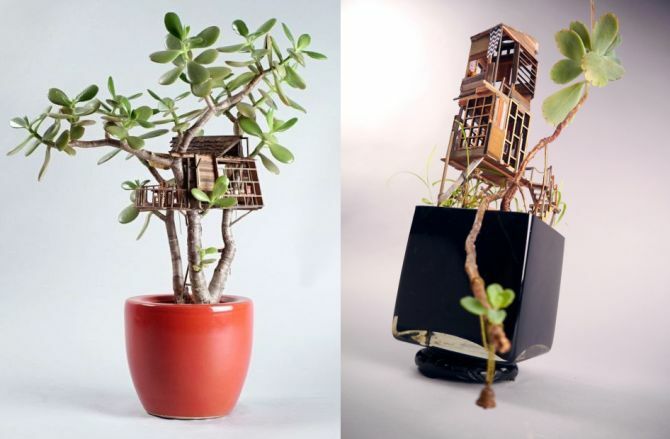 These treehouse sculptures are not only beautiful to look at, but also sustains eco-friendly environment without any negative impact on the growth of plants. 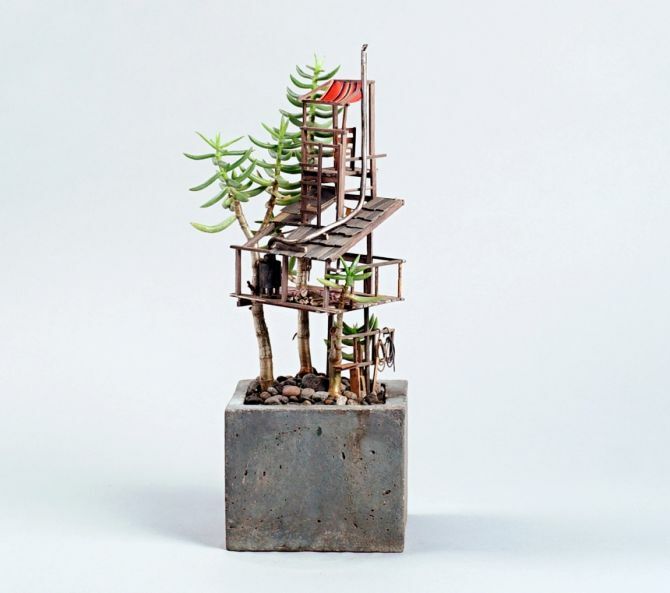 To-date Voltz has created around 25 of these arboreal habitats that include tiny watchtowers in forests, large bustling windmills, water wheels, and mini backyard treehouse. 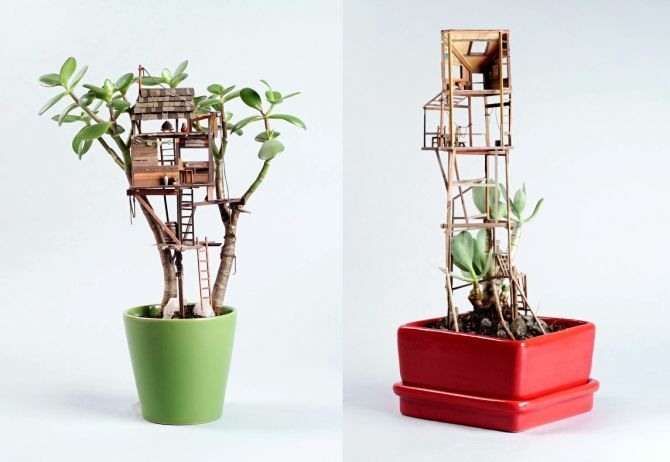 For those who are interested in these miniature treehouses, you can catch them at Virgil Normal in LA starting April 23. 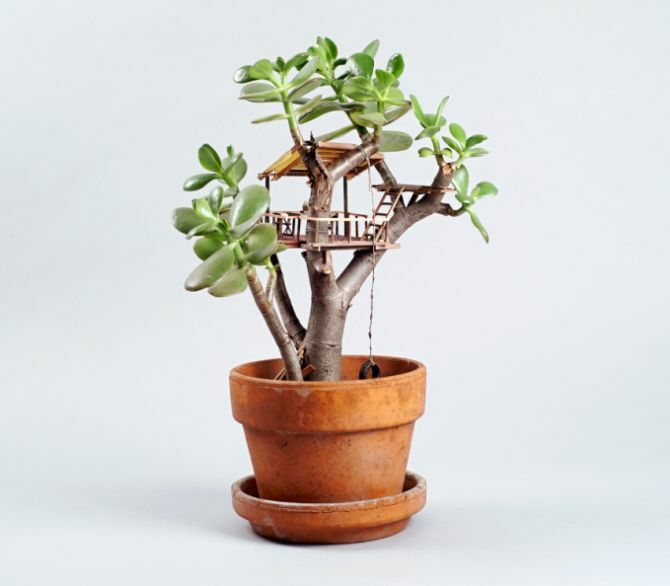 Make sure you swing by, as these sculptures won’t be available online anytime soon.